Whether you’re posting reviews on your blog, Amazon, Angie’s List, Google, Houzz, Jet, Walmart, Yelp!, or another third-party website — they all have one thing in common — shoppers will spend (or save) their hard earned money based on your recommendation. “83% of consumers take action because of trusted recommendations”, and “92% of consumers trust word-of-mouth more than all other forms of advertising”, according to The Nielsen Company. That stat shows just how powerful reviews are and the social responsibility influencers have when helping shoppers make wise decisions. If you want to be a top reviewer who influences thousands, you’ll need to write a helpful review. People don’t want to hear about just the cool product features or about what a product can do. Yawn. Next robot (ahem)… I mean a real person, please. People don’t want a spiritless stat sheet. They want to know how and why a product helped YOU personally — in real life, not in a galaxy far far away. 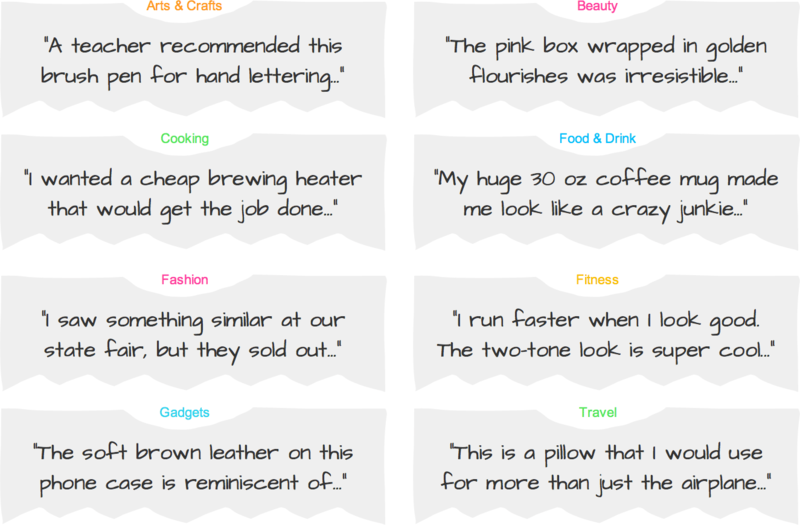 One secret to engaging the hearts of your audience with your product review is beginning with your mother in mind. For example, ‘dear mother’, ‘dear spouse’, ‘dear friend’, etc… People love details and writing with one person in mind forces you to share specifics. It also tricks you into writing with a more friendly tone. 1. What made you want to try this product? Was there something cool, cute, funny, exciting, inspiring, practical, romantic, unique or weird about the product that caught your eye? 2. What was your honest reaction when you first held and opened the package? What did you see, feel, smell, hear, taste? 3. What problem were you expecting the product to solve for you personally? How well did it solve the problem? 4. Do you have pictures to prove how well this product helped you? Snap photos of you using the product in the wild. 5. What were your likes/dislikes? For example: How effective was it, ease of use, customer support, value for the price etc..? 6. Who do you think this product is a perfect fit for? How do you think they will benefit from it? 7. What are some unique or unusual ways you used the product in your everyday life? 8. Would you recommend this product to a friend? 9. Now that you have made your product review more personable, tell your audience what the name of the product is and give them a link to where they can buy it. 10. 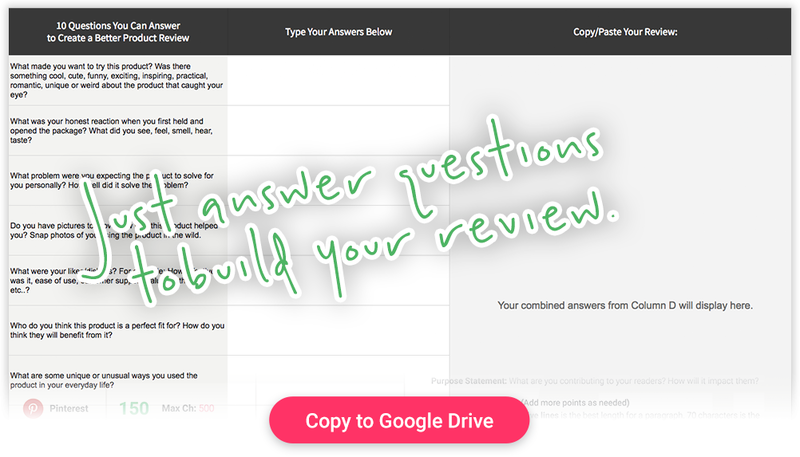 Summarize the main points of your product review in one or two sentences. 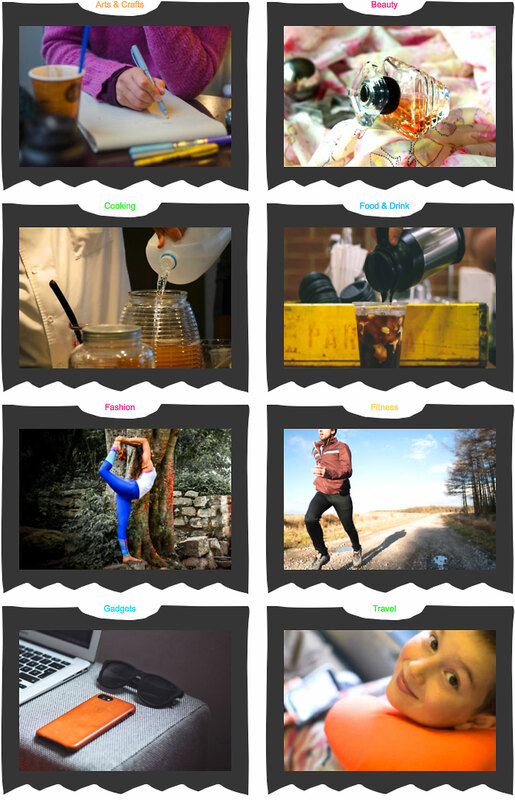 This will help readers quickly recap the good stuff and will serve nicely as your tweet. 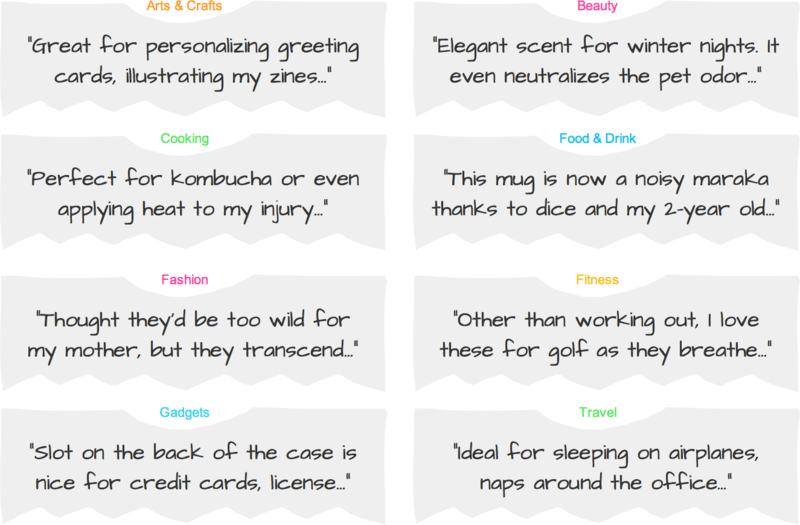 Need even more inspiration for your product review? 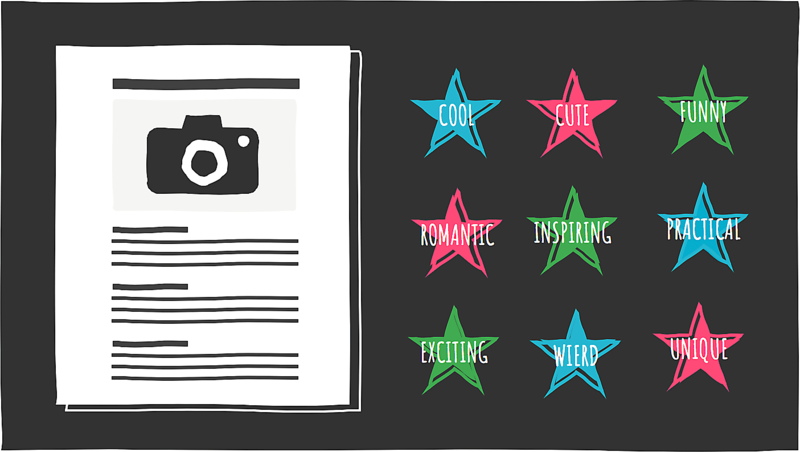 Here are 5 Things Every Influencer Should Do When Writing A Blog Post About A Product. 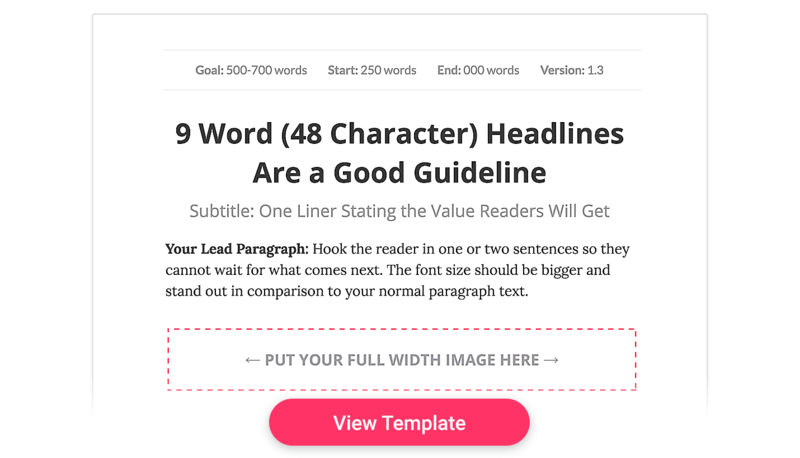 You might also like our fill-in-the-blank blog post template for writing 500+ word blog posts that get engagement.